I’m currently visiting San Francisco and had an interesting encounter related to web performance. I often stay in hostels when traveling and this trip is no different. Besides being much less expensive (especially in San Francisco) you get to meet all kinds of interesting people. Yesterday I was chatting with the guy in the bed below mine. He’s a baby boomer who grew up in Montana, served in the Navy, and has lived in Switzerland for the past 3 years. As a classical artist who paints and draws we got talking about art and design. He knows enough about computers to use Photoshop but isn’t a geek by any means. He admittedly knows nothing about web design but had some insight about color contrast from an artist’s perspective. As we were talking about the use of color he started ranting about things that people do wrong on the web. He went off about how his formerly favorite art website kept adding more and more to its design until it was just a mess. “Sites need to focus on what’s important and get rid of the rest,” he said. I couldn’t have agreed more. This guy gets it. Then he mentioned sites need to be fast. This really got my attention. Wow, this guy totally gets it. People aren’t stupid. They don’t need to know technology to understand that performance matters. If a website is slow they’ll leave. Make sure your site is fast. Today Amazon announced a new tablet, the Kindle Fire. Along with this announcement they revealed a new browser, Amazon Silk. I’ve seen speculation that this will be like Opera Mini, with server-side page rendering which significantly improves performance at the cost of crippling interactive sites that use JS. The way I read into it is that it’s more likely Amazon Silk will function more like an optimization proxy, combining and minifying files, caching static files on Amazon’s services, and possibly using SPDY for delivery. If done well this could be a great service, speeding up mobile browsing without impacting functionality. I have high hopes for Silk. Amazon has gotten very serious about web performance in the past few years. So long as they don’t cripple sites, which I think is unlikely, this could be a very successful browser. Edit: Amazon released a basic Silk FAQ. Looks like it will support Flash, SSL, and won’t cripple sites. I’m happy to announce the creation of the Austin Web Performance Group. This is something I’ve been planning on doing for a while and finally got around to launching. Kyle Simpson has joined me as co-organizer. This meetup group joins a collection of other web performance meetups around the world. If you’re in the Austin, TX area join up! We’re aiming to have our first meetup at the end of September or October. Feel free to submit your topics. A few weeks ago when JetBlue reopened sales of their BluePass, I decided I needed to find an interesting way to buy one and put it to good use. After racking my brain I came up with an idea: people bid to have me fly out and do some work. I toyed with a number of variations, minimum bids, job types, etc. I solicited feedback from family and friends, which ended up being extremely positive. The final product is BidOnMyDay. BidOnMyDay is simple. Anyone can bid to have me fly to them and do nearly anything. While I’d like to focus on tech related work, I’m not restricting it. Cleaner, courier, driver, teacher, whatever. The goal is to travel, meet new people, and have some interesting experiences. I’m also doing a video and blog post about each job on the site. Oh, and bids start at $1. There’s a lot of risk in this. I calculated my fixed and average variable costs at around $100 per day. Every winning bid under $100 is a short term loss for me. I’m hoping that by the end of the BluePass (November 22nd) bids average out above $100. I’m also hoping that by doing videos and blog posts about the jobs I can bring steady traffic to the site, offering alternative revenue stream opportunities. So go check out BidOnMyDay and place a bid. Any and all feedback is welcome! Update: Groupon refunded both Harmony Balance-Band deals shortly after the San Diego one ended. Congratulations Groupon! I’ve been a fan of Groupon, from a consumer perspective, since it first launched. While I haven’t been buying many of their deals I’ve been monitoring each new city as I travel to see if I can find some good local deals. Yesterday I was disturbed when I found the deal for San Diego was for Harmony Balance-Bands. You may have heard of these scam products, a rubber bracelet with a hologram stuck on it. The companies promoting these products all claim they improve your balance, with Harmony Balance-Bands stacking on some additional pseudoscientific claims. The fact is these are nothing more than a $0.10 bracelet made in China. They have no special powers. They don’t improve your balance. The demonstration many of the companies use has been thoroughly debunked. ESPN also showed they do nothing. 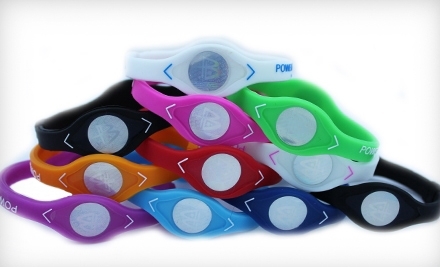 The biggest promotor, PowerBalance, admitted they do nothing and refunded customers. One group in Australia stepped up and created Placebo Bands, inexpensive knockoffs that clearly show how they are nothing more than a placebo. I’ve been sitting on this for almost a year and a half. DailyBurn gave up on making this right a long time ago and I think it’s worth letting the world hear my story. In March 2010, DailyBurn ran a contest called Revenge of the Office Worker. The point of the contest was to get in shape with coworkers and then get the most votes in a social media runoff. The grand prize was going to be a year subscription to DailyBurn and a Steelcase Walkstation treadmill desk worth $4,499! Having wanted a standing desk for quite a while I quickly recruited a friend to join me and registered to participate. The contest was being managed by DailyBurn’s community manager, Kate Brown. I emailed Kate on March 17th to ask a few basic questions, including if I could have friends join me instead of coworkers. She responded promptly, indicating friends would be fine and included a DOCX file with complete contest info and a registration form. I contacted a few friends to see if any were interested and recruited one. We got the necessary info together, named our team Rochester Techies, and were ready to go! I was really excited about this and dedicated to doing my best at winning. Early this year I made the decision to travel more. I was rarely leaving Rochester and when I did I still stayed within the confines of the northeast. I needed an escape. To fill this wanderlust I committed to traveling outside my city every month. This was made possible when I left my job to take on freelancing full time. A node-XMLHttpRequest user alerted me a while back that the npm package was out of date (thanks Shao). I’ve finally updated it to the latest version, including some bug fixes I pulled in today (thanks Jason). There are plenty of tests that could be created for node-XHR that would ferret out these small bugs. If you’re interested in getting involved but don’t know where to start send me an email, dan at driver dan dot com. I’d be happy to guide you. In the spirit of Velocity Conference I’ve finally updated CSSess to support Jdrop. If you haven’t used Jdrop it’s a repository for JSON data. It was designed to make it easier to review mobile test data. You’ll be able to run CSSess on a mobile browser and save the results to review later. I wrote the code a while ago but hadn’t tested it. In the process I also changed the path used to load CSSess. Instead of loading directly from the raw source on github it now uses github pages. It seems github changed the way it loaded raw files which sometimes caused issues loading the CSS file, resulting in everything loading unstyled. github pages loads JS and CSS using the correct mime type which should help prevent loading issues. This also allows updates to the code base that won’t be reflected instantly in the bookmarklet, providing a better opportunity for testing before release. Unfortunately there’s a bug that may prevent viewing your data on Jdrop. Since CSSess depends on jQuery it can only run after jQuery has loaded. The Jdrop view page attempts to load the data immediately. If jQuery is cached it may load. When I have the opportunity I’ll update the code to have a call buffer, similar to async Google Analytics works. This is just a quick mention that I’ll be at Velocity Conference this week. I love meeting new people so if you’re going say hi if you see me. I’ll be in Santa Clara from June 13th to the 17th. If you’re in the bay area but aren’t attending Velocity let me know. I’m hanging around until I leave for Australia on June 24th. I’ve never been to California so I decided to travel around the region. Much of the time will be spent in San Francisco but I also want to check out other cities. Thanks to BART and CalTrain it shouldn’t be a problem. If you happen to have a free couch get in touch with me. 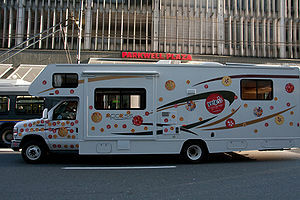 Besides saving money I like couch surfing to meet new people and get to know more about new places.